Episode 54 features Lisa Barone, who hails from Troy, New York via Los Angelos, CA and Long Island, New York. Lisa is the co-founder and Chief Branding Officer of Outspoken Media, an Internet marketing company based in Troy. I met Lisa in a rather interesting way. Since I am a blogger, I read other blogs. About six months ago, I noticed Lisa commented on a blog that I had as well. Lisa had put her name and where she lives, and mentioned that she stutters. I realized we were only about 15 minutes away from each other. So, I took a chance and emailed her. I started off with something to the effect, “I am not a stalker, I swear!” and went on to introduce myself and tell her a little about me. She responded back that she gets hundred of emails a day, and it was refreshing to get one that was “normal.” Little did she know! I asked Lisa if she’d be interested in getting together somewhere to meet and talk. She said yes, we did, and we’ve been friends since. 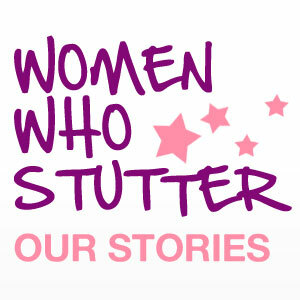 In that first meeting, Lisa shared with me that I was the first adult female stutterer she had ever met! Since then, Lisa has met with more local stutterers by attending one of our local Chat & Chew Too meet-ups. She also had a newspaper article published about how she felt about the movie,” The King’s Speech”, called “The king and us, myths and all”. And she participated in a reading of her piece at The Arts Center of the Capital Region. Listen in as Lisa and I discuss how stuttering has impacted every aspect of her life, but has never been her focal point. She discusses how she got into the business of providing a voice for others, and her feelings about “letting people down” when they meet her for the first time and realize that she is not the same “presence” that she is on-line. This is a very honest conversation that offers lots of food for thought and great insights. The podcast safe music used in today’s episode is credited to ccMixter. Please consider leaving comments for Lisa or just letting her know what a terrific job she did. Remember, feedback is a gift. 7 Responses to "Her Presence – Episode 54"
Wow, this was great. I admire you for not letting stuttering be your issue, as thats not what you are in business for. Admitting that stuttering has impacted every aspect of your life, but not letting it control every aspect of your life, is very significant. You sound fine – easy to understand. You should be talking at conferences. People want to hear you! I don’t think I’ve ever sat through anything, let alone a podcast, for more than 7 minutes. This really is incredible. Lisa: Your honesty, openness, and tell-it-how-you-see-it perspective is … well … refreshing. So looking forward to Blogworld! Pam: Your ability to ask the ‘right’ questions, those that draw out incredible conversation, is amazing. Thank you so much for the feedback. Lisa is amazing. When she and I first met, she said she would never do this, but look, she spoke for how long and it was great. And I so appreciate your comment to me – my aim all along has been for this to be like “listening in” to two women just chatting over the phone, having a conversation. Instead of it sounding like a rehearsed interview. I think people are more willing to listen because they want to know what might come next. I used to be really obsessive about each episode – I would think about a theme, the person, jot down a few questions, but then I stopped that. It was too much work. And I just started talking and inviting the other person to share, and then it would become dialogue. I think I have learned along the way what questions to ask – to spark that honesty that makes these great stories. I know you probably only listened becasue you know Lisa, but if you feel like sharing with others about this, I would not object!! 🙂 It’s unique story telling, and a great resource. Thanks again – appreciate the insights. And you are lucky to know Lisa. I feel lucky too! Wow. You are right. This is it! Thanks again for taking the time to do this. I learned a lot … about Lisa, about YOU, about the misconceptions of stuttering, about a lot. Fine. I’m cool. Just don’t tell my wife.